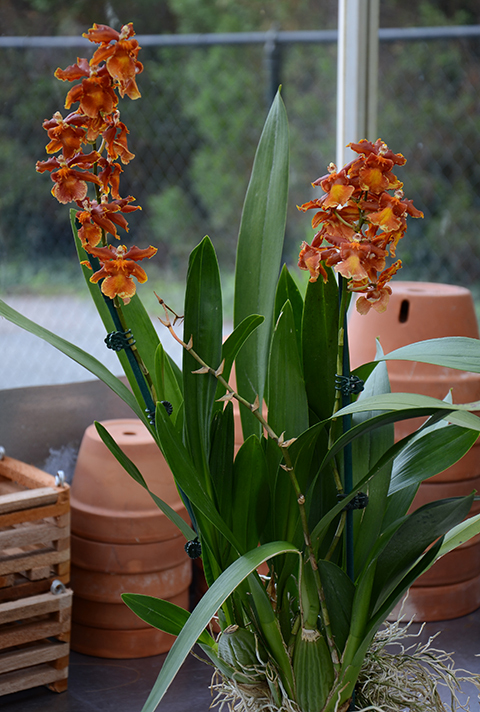 The Orchid Column: Where do I cut my Oncidium after it blooms? 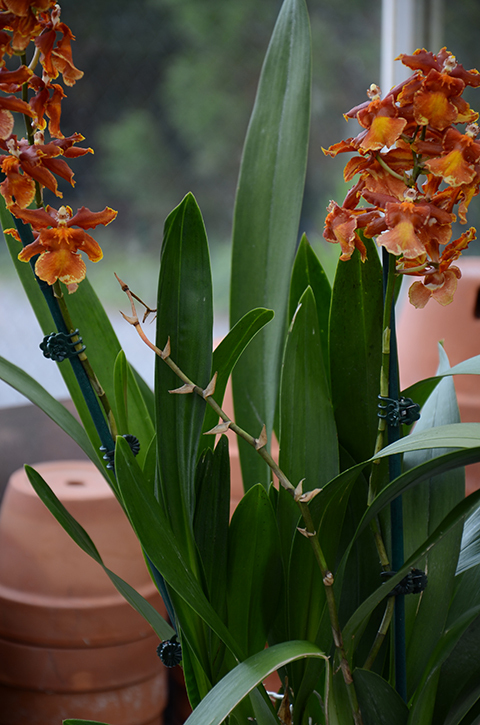 Where do I cut my Oncidium after it blooms? 1. Choose a cutting tool. The best choice is a pair of hand pruners or a single-edged razor blade. Which is best? See my earlier post about cutting tools for orchids. 2. Know what you are cutting. Spike or stem? The spike, or inflorescence, is the reproductive part of the plant. A stem is one of the vegetative, or non-reproductive, parts of the plant. You are removing the spike not the stem. 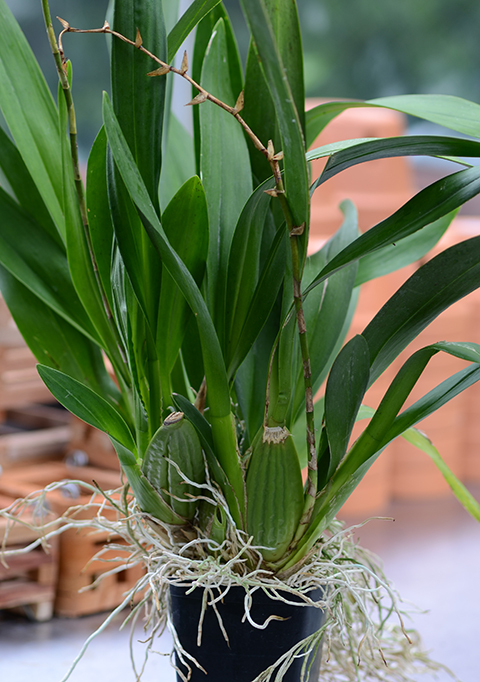 Below is an Oncidium-type orchid with several mature shoots. On Burrgeara Pacific Command 'Ekolu' a mature shoot consists of a oval-shaped pseudobulb (which is part of the stem) and two leaves. 'Ekolu' can produce several new shoots each year and every newly matured shoot can produce a flower spike. The flowers last about eight weeks before fading. Then it's time to remove the entire spike. In the foreground, a finished spike with the leafy pseudobulb that produced it. See where the spike emerges near the base of the oval pseudobulb? 4. Hold the spike with one hand and make your cut with the other [below]. Make your cut as close as possible to the pseudobulb without nicking the pseudobulb or your fingers. It's okay to leave about an inch of old spike behind. 5. Take care of your tools. 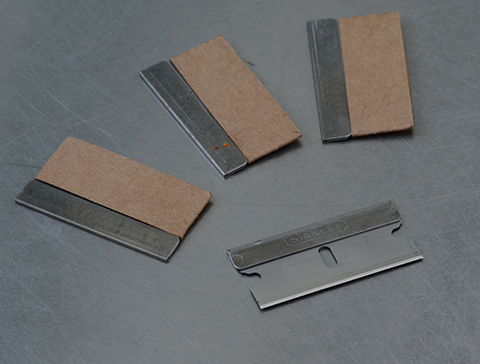 Wrap your razor blade in duct tape before throwing it away; or clean and dry your pruners before putting them away. You're done! 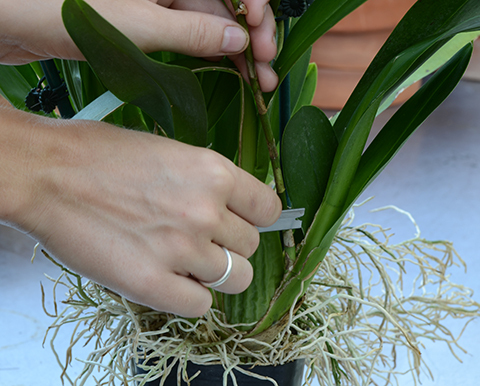 Check here to see where to cut your Phalaenopsis (Moth Orchid) spike. 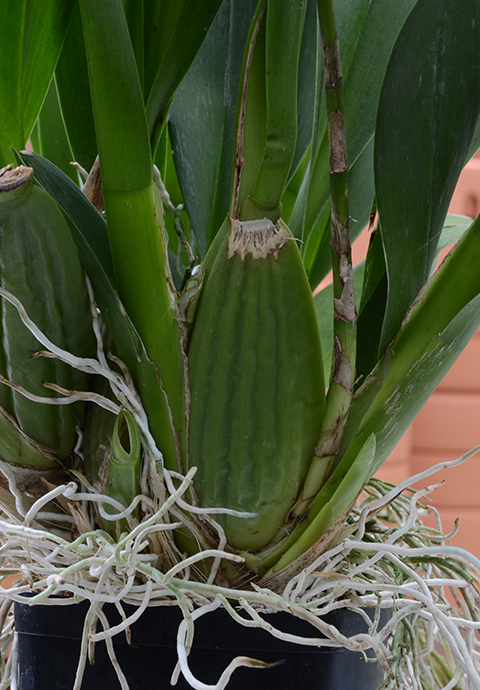 Wondering where to cut your Cattleya spike? Find out here. to find out where to cut your Dendrobium spike, click here.